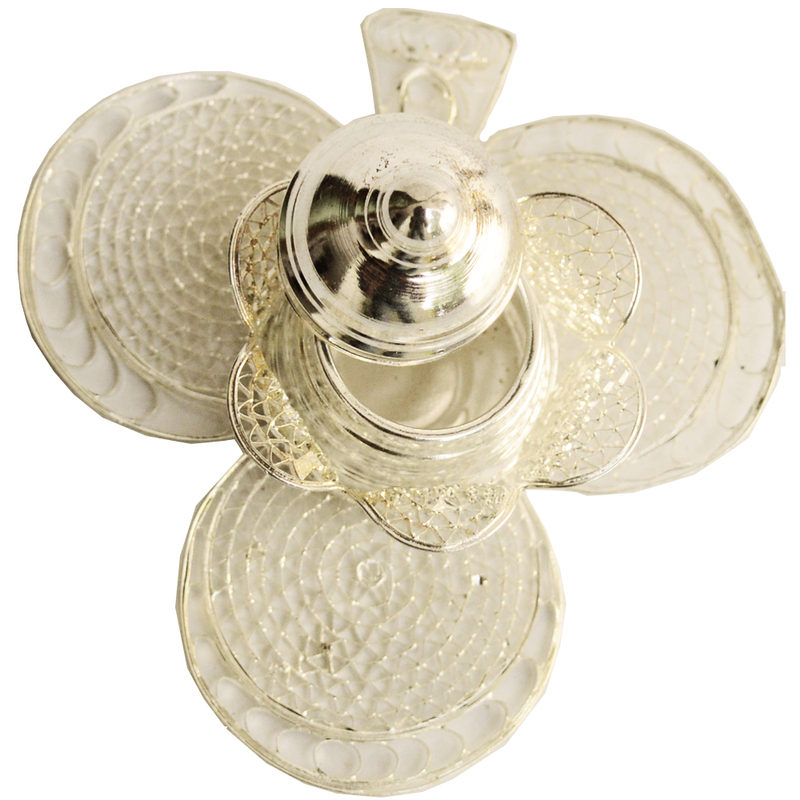 The beauty of this German Silver Club Shaped Sindoor Dibbi lies in its exquisiteness detailing of the design work, which makes this piece ideal for Read More..the stylish dressing table. 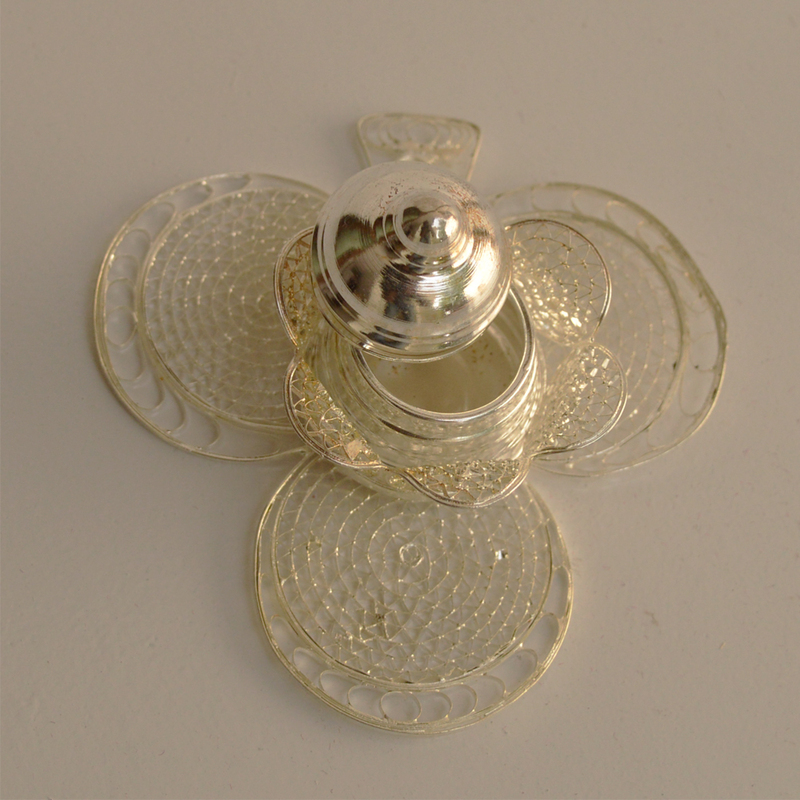 The intricate pattern work present on the body of this stylish piece makes it ideal for keeping sindoor, the symbol of marriage in Indian culture, and become the perfect opportunity for its owners to showcase their aesthetics sensibility to others. Thus, it is bound to find appeal among such discerning buyers. Show Less..